Understanding Stocks is an entertaining, easy-to-read book about one of the most fascinating subjects in the world: the stock market. You don’t have to be a dummy, idiot, or fool to understand the market. You also don’t have to be a genius. 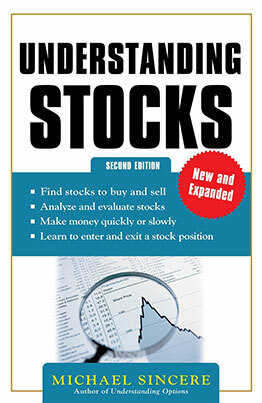 After reading this book, you’ll realize that understanding stocks is not that hard. The hard part is making money, which you’ll also learn how to do. Because the stock market is a brutal game that is often rigged in favor of the house, you need to know what you’re up against when investing or trading. One of the goals ofUnderstanding Stocks is to educate you how the markets operate so you can decide for yourself whether you want to participate. By the end of the book, you’ll know the players, the rules, and the vocabulary. Then you’ll have a better idea whether investing or trading makes sense for you and your financial goals.